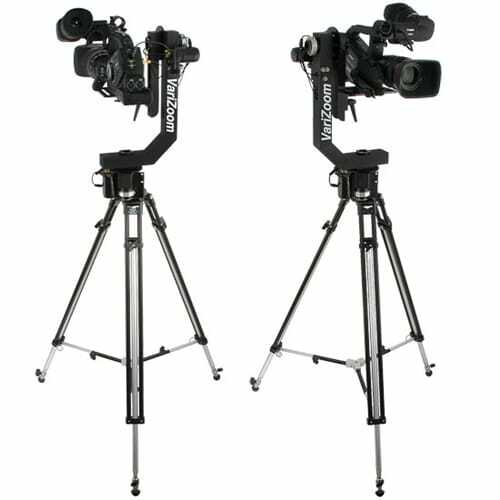 The MC100Dual allows one operator complete motion control over two cameras a hundred or more feet apart. 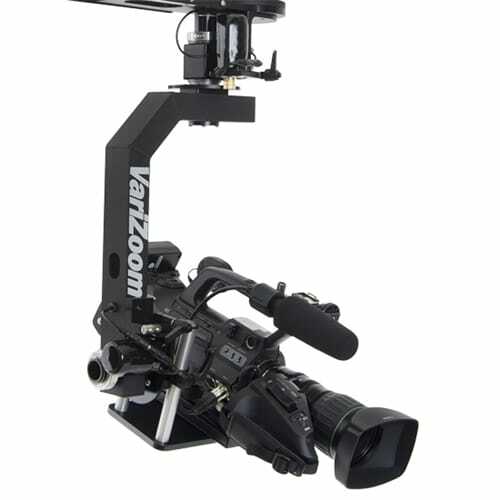 Great for weddings and event videographers. 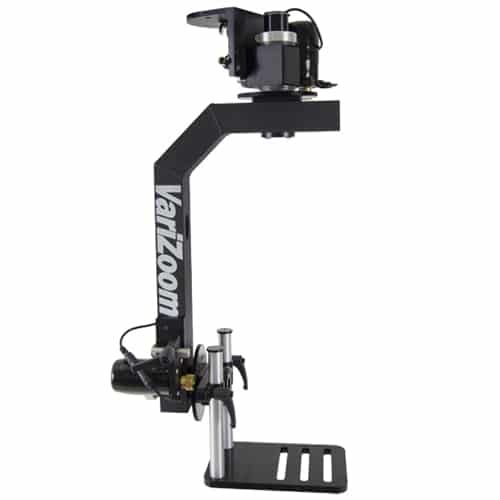 Lightweight head mounts to nearly any jib or tripod and can be integrated into permanent AV systems in studios, churches, or auditoriums. 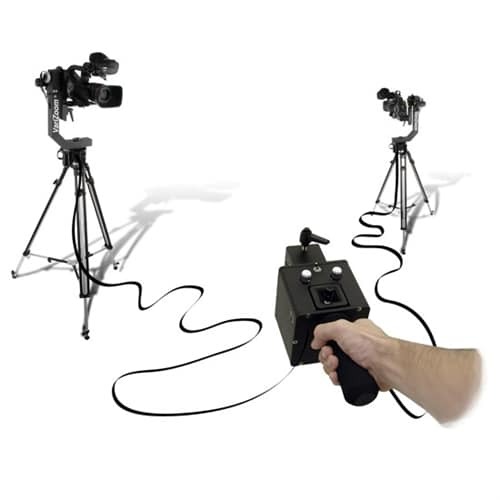 A Powerful Tool – The MC100 allows one operator complete motion control over two cameras a hundred or more feet apart. Great for weddings and event videographers as well as churches that simply want to record their services efficiently and professionally. 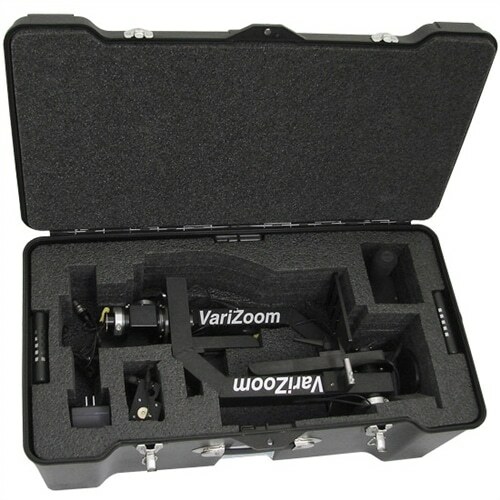 VariZoom’s MC100 remote heads have a long history of reliability, and they’ve been built by the same manufacturing team for over 10 years. 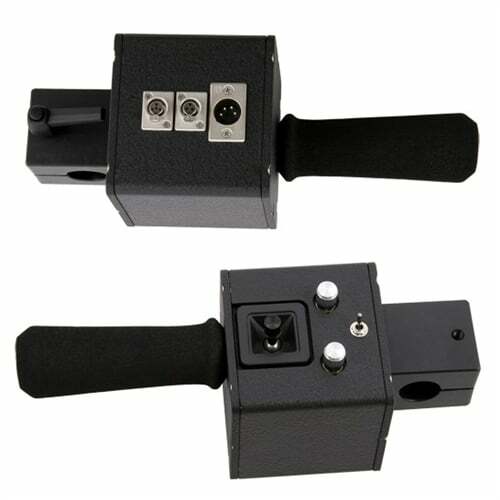 MC100 heads may be mounted on fixtures of walls, tripods and jib arms with years of trouble free operation. This workhorse has been used by video equipment rental houses around the world for years as proof that quality does count. Quality Design and Construction – Precision CNC machining, top-shelf components, rigorous parts inspection, and thorough individual unit testing ensure grade A quality. In production for years, the MC100’s original design has remained basically unchanged, but over the years customer feedback and engineering review have led to numerous refinements, including upgraded components and assembly techniques, to make the unit lighter, smoother and easier to operate. We back the MC100 with our full one-year warranty and lifetime technical support. An Investment in Production Value – While certainly not inexpensive, the MC100’s price is considerably lower than units of comparable quality and capability. 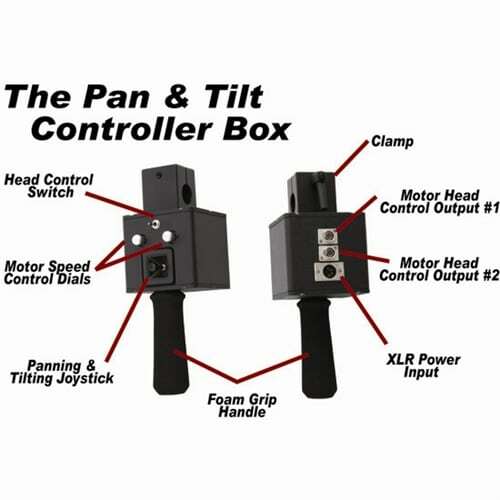 The cost of renting a professional pan/tilt head alone makes it worth considering. With the MC100 at your disposal, productions become more expansive, dynamic, and “high-end”, so much so that every time you use it you are increasing not only the artistic quality of the work, but also its dollar-value to prospective clients. Convenience – The custom lightweight carrying case with die-cut foam insert will protect both MC100s for storage or transport via air or land. A modular architecture makes parts replacement and repair simple, and we are happy to consult with you about options to suit your needs. 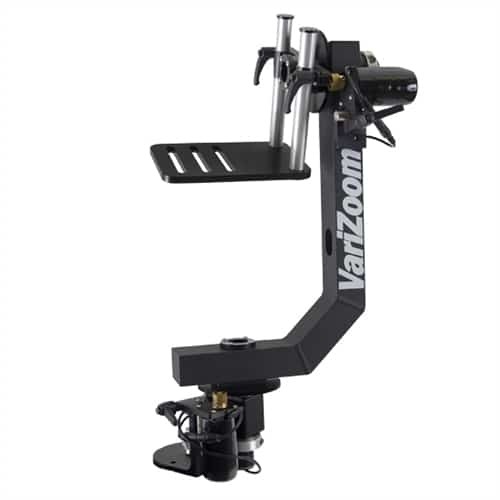 H 22" x W 11" x D 5"
L 32" x W 17.5" x H 13"
Head, Control Box w/ jib clamp (1.0625" dia. ); 2 Custom-geared motors; Universal power adapter (100-240VAC); 20' Extension cables for head control & LANC; Mounting hardware for cameras, tripods & jibs; Carrying case w/ custom die-cut foam insert; Manual.